Advertising and Marketing Campaign design samples from Fall 2012. 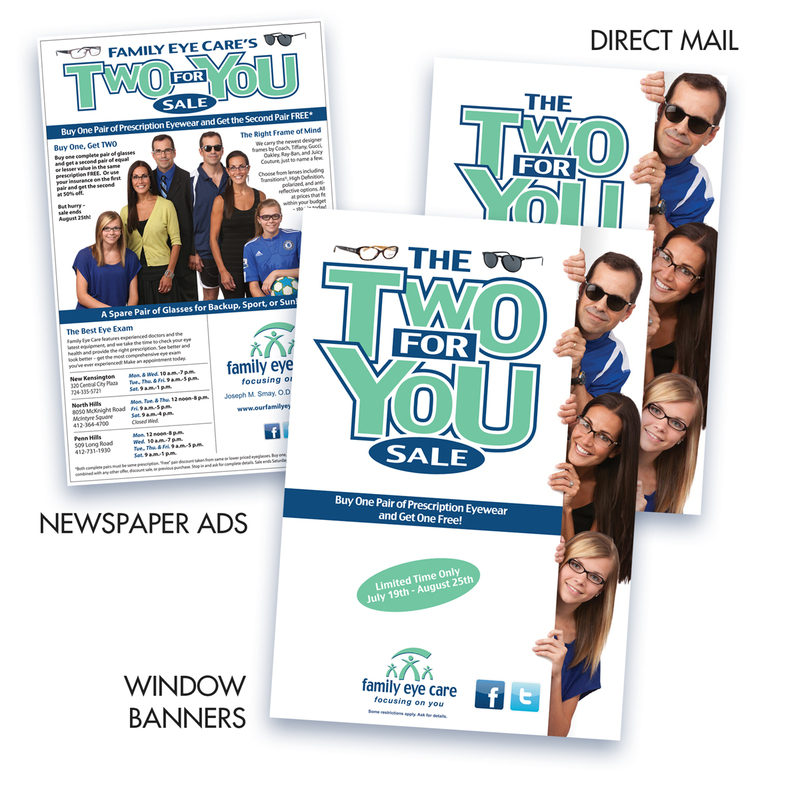 This is a sample from an eye care campaign I just did for fall 2012. I provided Art Direction and Photo Direction and created the Graphic Designs in a couple Adobe programs. I generally will go to Illustrator on single page items and move into Quark or InDesign when there’s multiple items. The budget allowed for new photography so we went to a studio with a couple models and created the nice shots within the campaign. I ended up standing in as the male model so it was a little odd having another photographer tell me how to smile. The purpose of the campaign was to get the consumer to buy into getting 2 sets of frames. The photos show 2 looks for each model. One is a little more formal and the other is casual or sport. This used to be a back to school promotion but it works a little better including more age groups in the sale. Copy provided by the ad agency. This entry was posted in Art Director, Digital Artist, Graphic Design, Photo Director, Print Ads and tagged Art Director, Graphic Designer, Photo Director by studio N51 Animation and Design. Bookmark the permalink.